Sports fans are well-accustomed to weathering the highs and lows of a suspenseful game. If your team is performing well, it can be an exciting time. If the other team is winning, it’s a less enjoyable experience. Whatever the situation, it’s important to be aware of the potential heart risks for sports fans. According to the American Heart Association, studies have shown an increase in arrhythmias and heart attacks during major sporting events like the World Cup. 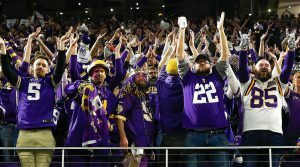 With football season underway, fans here in Minnesota should be aware of their heart health and heart attack risks before sitting down to watch the game. The reason for the increased heart risks for sports fans? Experts say it’s all about emotion. An attachment to a team leads to emotional stress. When a game gets suspenseful or disappointing, that stress grows in intensity. This essentially triggers a fight-or-flight response, causing an increase in heart rate and blood pressure. All of these factors can trigger a cardiovascular event. Of course, not every sports fan is at risk of a heart attack during every game. Other heart disease risk factors – including weight, activity level, and the incidence of high blood pressure – can contribute. Talk to your doctor about your risk, and take steps to improve your heart health. Quit smoking, watch your cholesterol, eat a heart-healthy diet and get moving! Overall, these heart risks for sports fans don’t mean that you shouldn’t watch and enjoy football games. It’s just important to be aware of those risks and take steps to improve heart health and minimize excitement and stress. Whether you’re a football fan or not, hands-only CPR is a good skill to have. 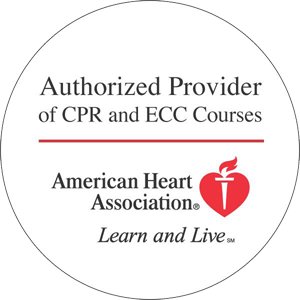 We offer FREE CPR and First Aid courses through Blue Cross Blue Shield of Minnesota – sign up today! The post Sports Fans Should Be Aware of Heart Attack Risks appeared first on HeartCert CPR Training.